Owner George Monsour is back after a 16-year hiatus from the restaurant business with a new neighbourhood bistro in the heart of Hintonburg. Judging by its instant popularity, it appears to have touched a nerve in much the same way his collection of Ritz restaurants did in the 1990s. There was a palpable sense of nostalgia for the place before it even opened. Monsour’s charisma and hospitality are no doubt a major draw, and the food manages to take us just outside the comfort zone — enough to keep it interesting. The menu is made up of Mediterranean- and Middle Eastern-inspired pizzas, as well as hearty meat and seafood dishes with authentic accents, such as the fruity red pepper and walnut muhammara dip served with seared duck and the nutty Egyptian spice blend dukkah for the lamb. Monsour has no urge to fill the menu with this year’s “it” ingredients or trendy Food Network tricks. His is food with a higher calling, food that pays homage to culinary traditions. There is no such thing as pop at Back Lane Café; instead, they offer spritzers made from real fruit syrups and the house sparkling water. The potato chips served alongside the provençal mussels are Saratoga chips, a reference to the original 19th-century recipe. 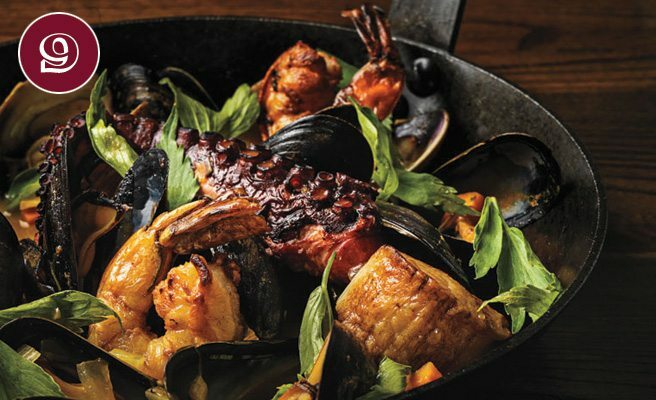 Nothing on the menu is deconstructed or dehydrated — instead, it’s home-style food that is wood-fired and hearth-simmered. Bread is baked fresh every morning, using the residual heat in the oven from the night before. Ironically, it is the pair of beautiful French wood-burning ovens in Back Lane’s kitchen that have attracted one of the most avant-garde young chefs in the city. 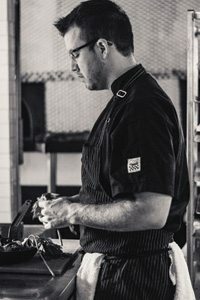 Back in July, Monsour announced he was bringing Michael Hay onboard as executive chef. Hay came to Ottawa via Chicago with a taste for modernist cuisine, quickly falling into Marc Lepine’s shoes at The Courtyard just as Lepine was launching Ottawa’s first hyper-modern spot, Atelier. From early indications, it seems chef Hay has no plans to catapult Back Lane into the future. Instead, he is helping to build a bridge to some idyllic past that may or may not have ever existed. Perhaps he is just as enamoured as the rest of us with the chance to experience food that is steeped in tradition rather than riding the hamster wheel of constant reinvention. 1087 Wellington St. W., 613-695-2999, www.backlanecafe.com.